In addition to being a pretty powerful productivity tool, the Apple Watch can be a fun time-waster when you're waiting in line at the grocery store, riding the train on your way to work, or waiting for your kids to get to the car after school. Apple Watch games are a whole different breed of mobile game. They're often very simple in execution and are meant to take just a few seconds at a time, rather than mobile games designed for your smartphone that you could easily become engrossed in for hours. This of them as miniature games, but like the Apple Watch is sort of a miniature version of your smartphone. 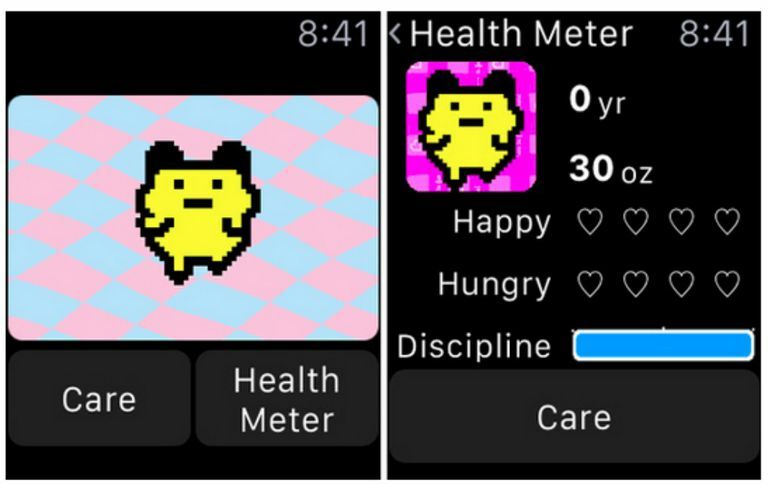 The Apple Watch has its very own Tamagotchi app. Just like the Japanese keychain you carried around in the 90s, the app allows you to hatch your own pet Tamagotchi and then feed and nurture it into adulthood. The watch app works alongside Tamagotchi’s existing iPhone app. With it you’re able to check the status of your pet at any point throughout the day and you’ll receive a notification on your watch if your Tamagotchi needs something. For things like feedings and bathroom breaks, you can even initiate those actions from your wrist. Lifeline is a choose-your-own-adventure game that was made for the Apple Watch. In the game, you’re chatting with someone who has crash-landed their ship on an alien moon. The game goes on throughout the day, just as if this person really exists, and you’re tasked with giving the person instructions on how to proceed. It can be a lot of fun, especially if you’re stuck in a desk job and need a casual distraction throughout the day. If you’re a fan of word games, then Letter Zap is likely to one of your new favorites. The addictive game has you unscramble as many words as you can within a 30-second timeframe. All the action can happen on your wrist, and the game keeps track of your personal bests so you can try and improve over time. If you like puzzle games, then chances are you’ve already played a ton of Rules!. The games’ iPhone app made it to Apple’s Best of 2014 list, and the game was one of the first to become available for the Apple Watch. Due to the Apple Watch’s small screen, gameplay is condensed considerably, so what would sometimes be a nine card game is now just four, but the game can still be a ton of fun to play of your wrist, especially during a few minutes of downtime during your commute or while you’re waiting in line.